Renew Life Advanced Cleansing supplements are powerfully formulated to help you get rid of digestive toxins and waste. 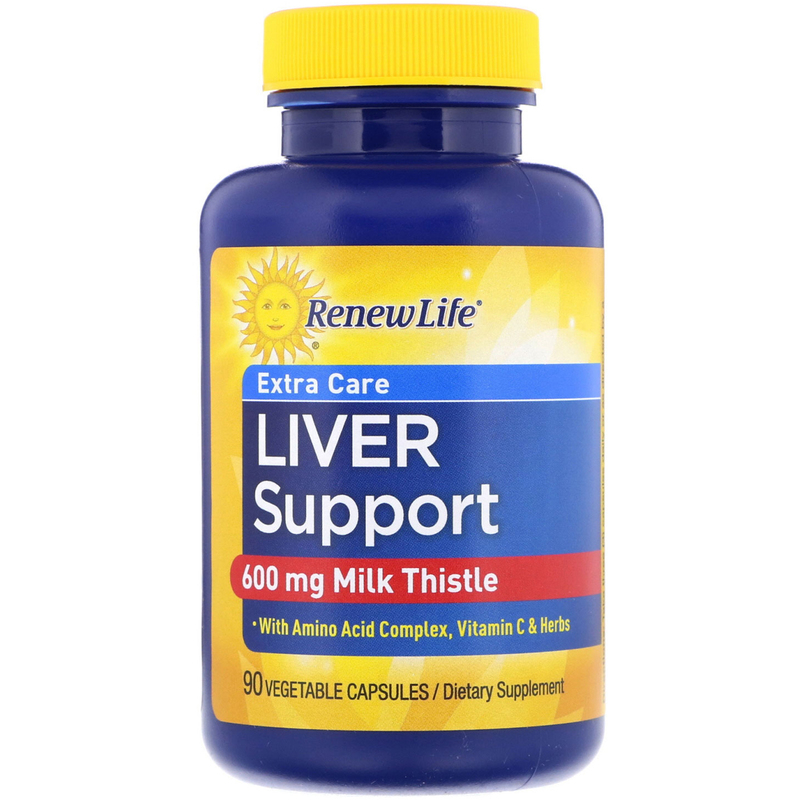 Extra Care Liver Support is a high-potency formula that includes 600 mg milk thistle, an amino acid complex, vitamin C, and herbs for potent liver support. Its rejuvenating properties help enhance the function of your body's primary detoxification organ so you can live a cleaner life. 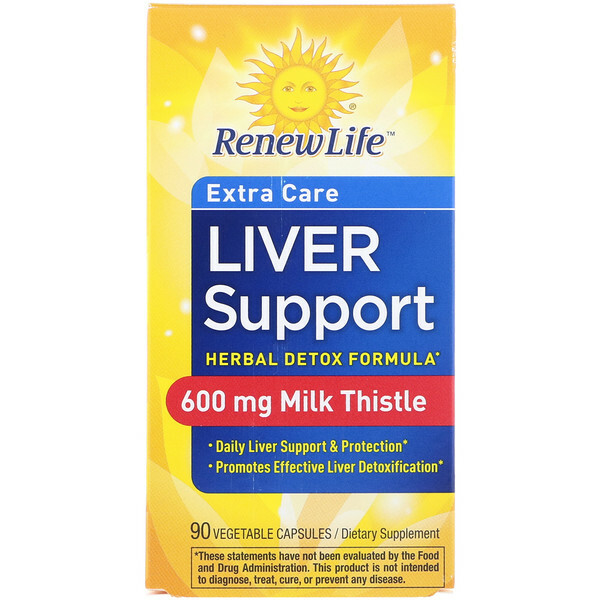 Keep it running smoothly with Renew Life Cleansing support formulas. Our comprehensive herbal programs promote regular elimination and support the body's natural detoxification process. Did you know that we come into contact with toxins every day-from the environment, our food, and even within our own digestive tract? While the body was built to process these toxins, today's world places increased stress on our elimination channels. Renew Life Cleansing support formulas help re-establish digestive health so you feel better, lighter, and more energized. Take 3 capsules daily or as directed by a healthcare professional. 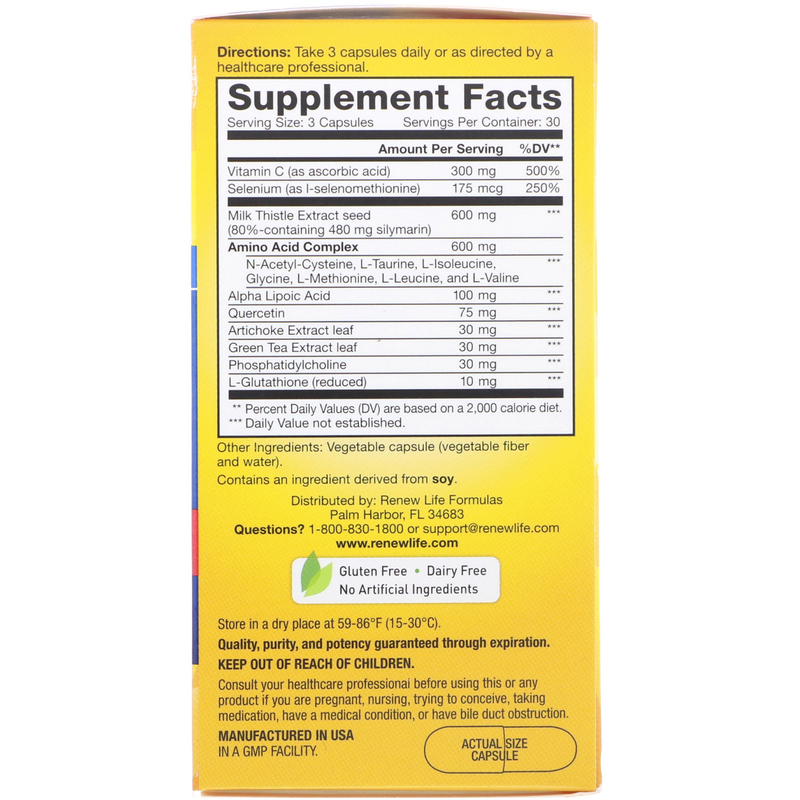 Contains an ingredient derived from soy. Manufactured in USA in GMP facility. Store in a dry place at 59º-86ºF (15-30ºC). Consult your healthcare professional before using this or any product if you are pregnant, nursing, or trying to conceive, taking medication, have a medical condition, or have bile duct obstruction.